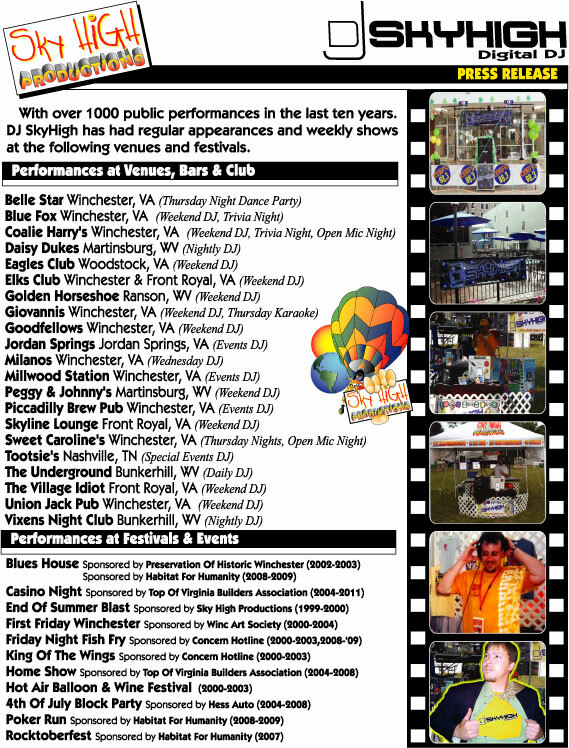 DJ SkyHigh signs on to be Historic Jordan Springs special events DJ. DJ SkyHigh hosts the First Casino Night Fundraiser for NW Works at their new facility. For The Love Of Chocolate Fundraiser at the George Washington Hotel. DJ SkyHigh hosts Aids Response Effort's Annual Mardi Gras at the Piccadilly Public House. DJ SkyHigh entertains at the Frederick County Educational Foundation's Murder Mystery Fund Raiser at the Winchester Country Club. DJ SkyHigh hosts Boys & Girls Club of the Northern Shenandoah Valley's Annual Cash Party at the Greenwood Fire Hall. 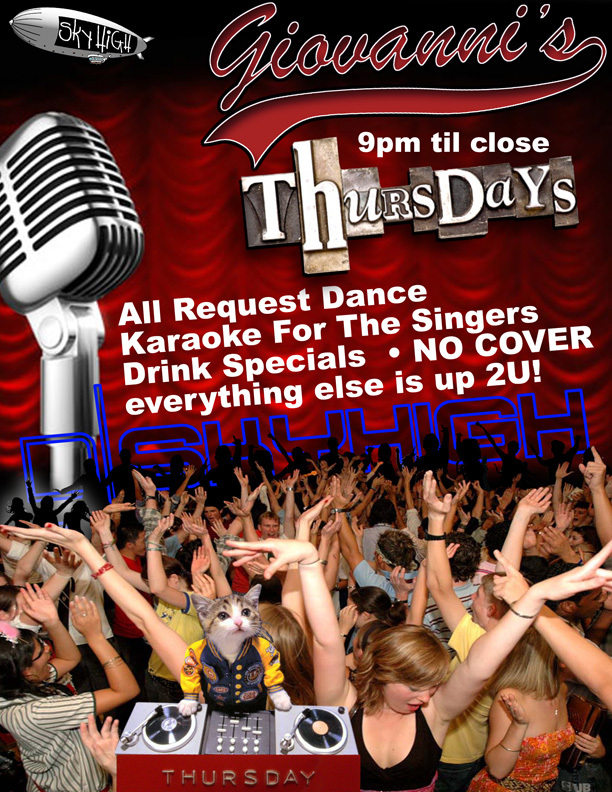 DJ SkyHigh's Tuesday Night Trivia at the Blue Fox celebrates it's 50th Show on April 12th, 2011. Karaoke Show at Giovanni's Restaurant on the Downtown Mall in Winchester. DJ SkyHigh hosts Top Of Virginia Builder's Annual Casino Night at Ferguson's Showroom. 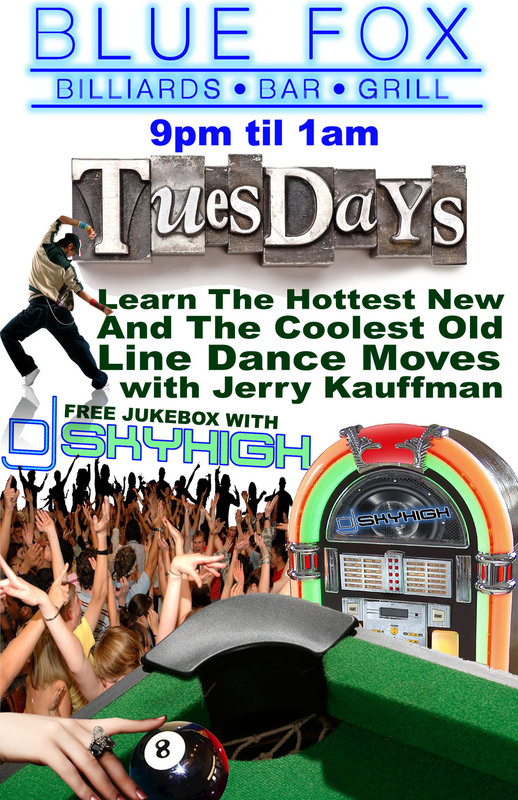 DJ SkyHigh announces a weekly Wednesday nite show at Milano's on the Downtown Mall in Winchester. DJ SkyHigh completes 6 gigs in 4 days with the last 4 gigs running in a straight 36 hours. DJ SkyHigh closes out the Boys & Girls Club of the Northern Shenandoah Valley's summer camp with a dance for the kids. DJ SkyHigh opens up for and closes the first appearence of The Tams in Winchester performing at the outdoor arena at the Piccadilly's Public House. 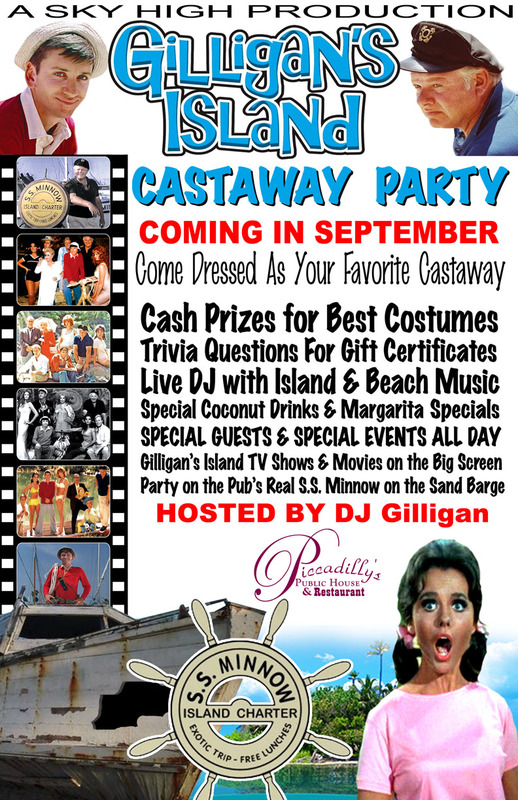 DJ SkyHigh hosts the first annuel Gilligan's Island Castaway Party. 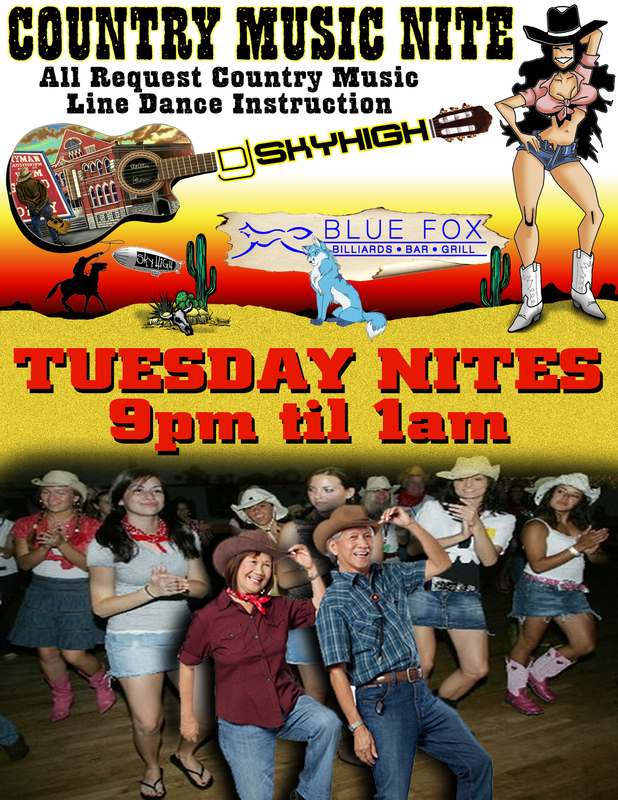 DJ SkyHigh announces a Country Line Dance Night at the Blue Fox on Tuesdays. Later we open up the night to include All Dance Instruction. 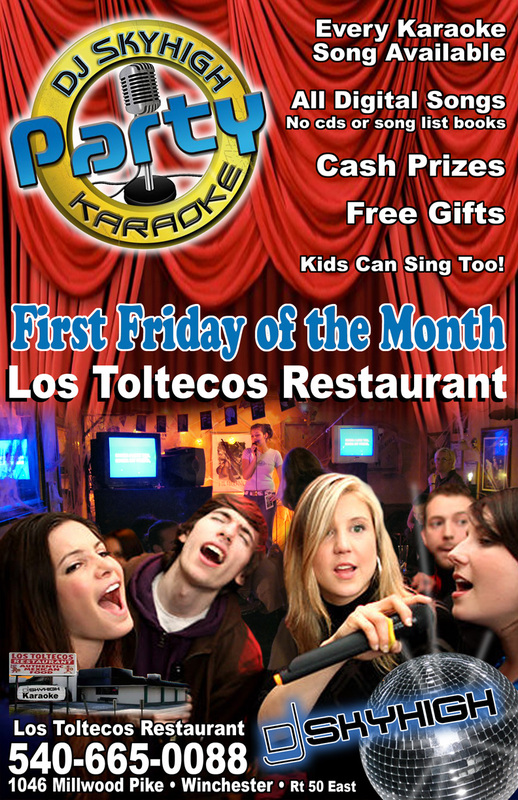 DJ SkyHigh announces a Cash Prize Karaoke Friday Night at Los Teltecas. DJ SkyHigh completes 50th wedding of the year. DJ SkyHigh closes out the year with private Xmas parties, performances at 147North among other late night venues. DJ SkyHigh opens the year by kicking off Bryce Resort's New Year's Celebration..
DJ SkyHigh hosts the First Cash Prize Karaoke at Los Toltelcos in Winchester, VA.
DJ SkyHigh performs with the legendary Tams Band at the Piccadilly Public House. DJ SkyHigh hosts The Cancer Society's Relay For Life 12 hour race and Annual Benefit. DJ SkyHigh participates in Winchester's Downtown Walking Bridal Show. 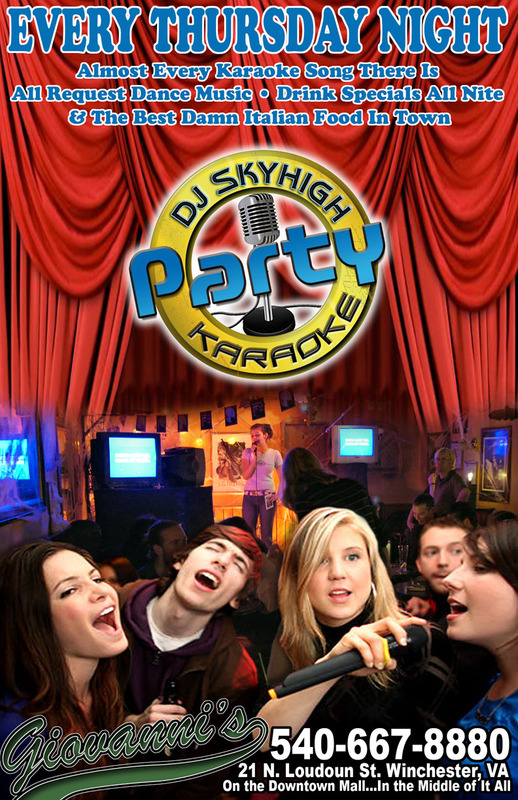 DJ SkyHigh announces Sunday & Monday Karaoke Weekly at Blue Fox Billiards Bar & Grill. DJ SkyHigh hosts Bill Pinkney & The Original Drifters for Piccadilly's Caraolina Beach Party. DJ SkyHigh hosts The Embers for Piccadilly's Caraolina Beach Party. DJ SkyHigh hosts The Catalinas for Piccadilly's Caraolina Beach Party. DJ SkyHigh hosts Guitar Gods Of The Shenandoah Valley Contest at Blue Fox Billiards Bar & Grill. DJ SkyHigh hosts his 250th Wedding. DJ SkyHigh hosts his Blue Ridge Technical College's Annual Family Night. DJ SkyHigh hosts surprise Christmas Party for NW Workshop. 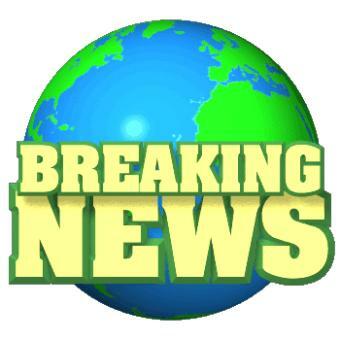 DJ SkyHigh signs deal on half hour local music show Blue Fox Live to air on 105.5 The Bone in 2013. DJ SkyHigh returns to hosts Second Annual Jingle Bell 5K Race benefiting YDC & SU Athletics Dept. made appearances as weekend entertainment at 7 local bars. 1 Sweet 16 birthdays, along with 4 other birthdays, 10 Weddings and made appearances as weekend entertainment at 7 local bars. 3 Bar Mitzvahs, 5 Birthdays, 12 Weddings and made appearances as weekend entertainment at 7 local bars. 1 Bar Mitzvahs, 6 Birthdays, 14 Weddings and made appearances as weekend entertainment at 7 local bars. 3 Birthdays, 10 Weddings and made appearances as weekend entertainment at 7 local bars.